Today during the February Inside Xbox stream there was some very exciting Sea of Thieves news! 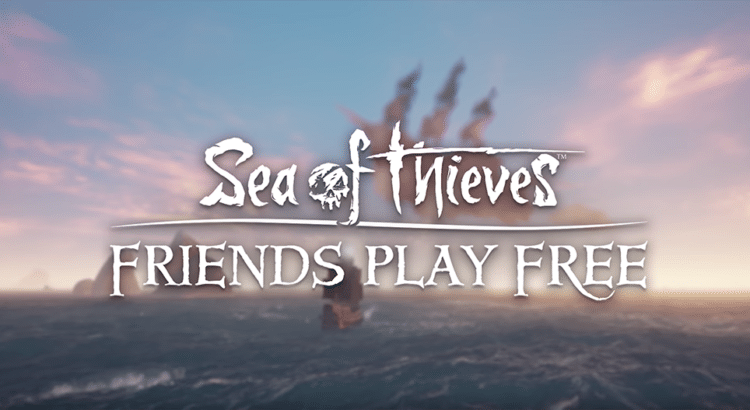 Joe Neate, Executive Producer on Sea of Thieves, took to the stage to announce the Friends Play Free event. Starting February 6th, players who own a copy of Sea of Thieves will be able to invite up to three of their friends to download and play the game. Eligible pirates include players who own a physical, digital or Game Pass copy of the game. If you are someone who owns the game and looking to share the fun, visit the official Sea of Thieves site here and collect your codes to share. You will need to login to the Sea of Thieves site with your Xbox Live credentials to verify your ownership of Sea of Thieves. Once you are logged in you will be prompted to reveal your codes. Your friends can then redeem these codes by heading to ‘Use a Code’ in the Store on their Xbox One console, or ‘Redeem a Code’ on Xbox.com or the Microsoft Store app. February 6th also brings a new type of voyage offered by the Bilge Rat Duke in the tavern! These new Mercenary Voyages will have players completing a mix of different Sea of Thieves activities in one package that ends with a Chest of a Thousand Grogs. The veteran players will like the expensive rewards these new voyages have to offer and the new players will get a good taste of what to expect in their future pirate sessions. So if you have any friends who for whatever reason haven’t joined you on your adventures at sea, now is the time to invite them and show them a good time on the Sea of Thieves!